HeartUnions week will take place from 11 to 17 February 2019. 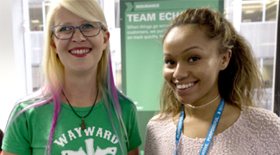 A week of activity throughout England and Wales that highlights the good work that unions do every day to offer everyone a voice at work. Too many workers are being denied job security and sick pay. We need to stamp out these contracts. Take action now. HeartUnions week is all about building a stronger movement. We want as many of you to get involved as possible. 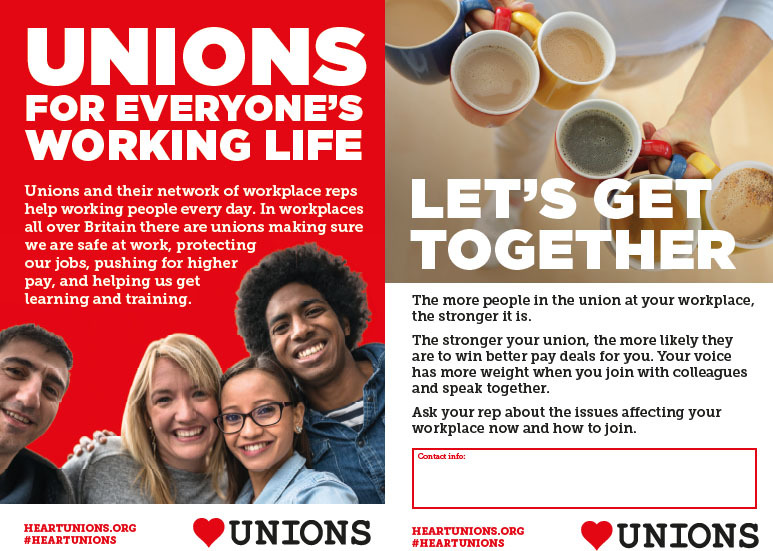 Download HeartUnions materials here to make it even easier to show some love for unions this #heartunions week. During HeartUnions week we spoke to STUC's Better Than Zero about how they have been organising against precarious work and zero-hours contracts in the hospitality and service sectors in Scotland.